You will find how superior IPS over AMOLED. AnonD-79062, 13 Apr 2013heyy plz help me out..!!! from yesterday night my google playstore is not working.. when i... moreI think i've encountered that problem before. Try clearing the cache or data of the application in google services and playstore. You can do so by going to settings -> manage applications or applications and then find these under all. heyy plz help me out..!!! from yesterday night my google playstore is not working.. when i go to open it theres a error showing google apps stop unfortunately.. & if it opens successfully not a single app is downloaded..every times it shows errors..i dont no what i done..please help me..
"Main disadvantages...Large size makes single-hand operation problematic"
To start with , how murch is this phone? Samsung Note II has an issue with viewing recent calls. Certain numbers will not view in vertical but will view in horizontal. I had one phone for a week and I couldn't see the calls missed, brought it back and the 2nd phone did the same thing. I we back 7 times in 10 days, even the floor sample Note II and customer service Note II had the same issues. I like the Note II but don't like the way Samsung turns their back on customers that find software issues. Samsung customer service; more like "Customer No Service". Cell provider contacted Samsung Rep, service technician filed a ticket with Samsung, Technical support called Samsung, and I called Samsung. please help what model i must to buy ? i need help. the accelerometer is off target. i have tried the gyroscope calibration ,the *#0*# and hard reset with no success. 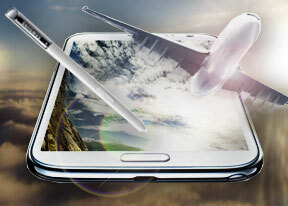 how to make on samsung galaxy note 2 GT-N7100 to the list: CONTACTS. display not only name and last name and phone number too!! !